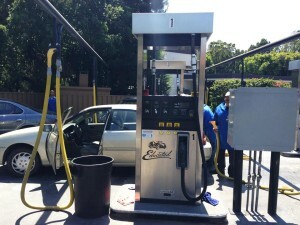 We provide 100% Hand Car Wash because we know that a machine can never do as good of a job as a human hand. A superior car wash only comes from human hands. We also only use the softest lamb’s wool mitts available and the mildest, yet highly effective, auto wash cleaners that are biodegradable. They are not only safe for your car but also safe for the environment. In addition we provide other services ranging from thorough vacuuming to cleaning your windows till they are sparkling clean. We also pride ourselves on being extremely fast and efficient. We know you have many things to do. Therefore our goal is to have you in and out in approximately 15 minutes. 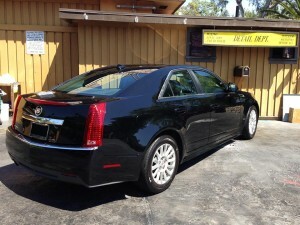 We want you to fill up your gas tank, get a superior hand car wash and be on your way as quickly as possible. Everything we do is for your convenience. This is why we house a gas station and a car wash on the same property. In addition, our customer service is second to none. We also have a gift shop with greeting cards for a variety of occasions. In addition, we have an assortment of beverages and snacks, as well as auto accessories for your vehicle. We have the lowest gas prices in Santa Barbara! Drive on in and let our friendly service attendant fill up your car with the most affordable gas in town. Whether you prefer Regular, Plus or Premium Unleaded Gas for your vehicle, you’ll always discover that we offer THE LOWEST GAS PRICES in Santa Barbara. We are an independent gas station and thus we can make sure you pay less! We have the lowest prices on auto detailing. Detailing restores that new car look and also protects your car from the elements and every day forces that destroy a vehicles appearance. Paint polishing and waxing in addition to carpet and upholstery care are important to keeping your car in tip top condition.